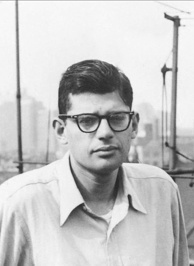 Irwin Allen Ginsberg was the son of Louis and Naomi Ginsberg, two Jewish members of the New York literary counter-culture of the 1920s. Ginsberg was raised among several progressive political perspectives. A supporter of the Communist party, Ginsberg's mother was a nudist whose mental health was a concern throughout the poet's childhood. According to biographer Barry Miles, "Naomi's illness gave Allen an enormous empathy and tolerance for madness, neurosis, and psychosis." As an adolescent, Ginsberg savored Walt Whitman, though in 1939, when Ginsberg graduated high school, he considered Edgar Allan Poe his favorite poet. Eager to follow a childhood hero who had received a scholarship to Columbia University, Ginsberg made a vow that if he got Irwin Allen Ginsberg was the son of Louis and Naomi Ginsberg, two Jewish members of the New York literary counter-culture of the 1920s. Ginsberg was raised among several progressive political perspectives. A supporter of the Communist party, Ginsberg's mother was a nudist whose mental health was a concern throughout the poet's childhood. According to biographer Barry Miles, "Naomi's illness gave Allen an enormous empathy and tolerance for madness, neurosis, and psychosis." He was admitted to Columbia University, and as a student there in the 1940s, he began close friendships with William S. Burroughs, Neal Cassady, and Jack Kerouac, all of whom later became leading figures of the Beat movement. The group led Ginsberg to a "New Vision," which he defined in his journal: "Since art is merely and ultimately self-expressive, we conclude that the fullest art, the most individual, uninfluenced, unrepressed, uninhibited expression of art is true expression and the true art." Around this time, Ginsberg also had what he referred to as his "Blake vision," an auditory hallucination of William Blake reading his poems "Ah Sunflower," "The Sick Rose," and "Little Girl Lost." Ginsberg noted the occurrence several times as a pivotal moment for him in his comprehension of the universe, affecting fundamental beliefs about his life and his work. While Ginsberg claimed that no drugs were involved, he later stated that he used various drugs in an attempt to recapture the feelings inspired by the vision. In 1954, Ginsberg moved to San Francisco. His mentor, William Carlos Williams, introduced him to key figures in the San Francisco poetry scene, including Kenneth Rexroth. He also met Michael McClure, who handed off the duties of curating a reading for the newly-established "6" Gallery. With the help of Rexroth, the result was "The '6' Gallery Reading" which took place on October 7, 1955. The event has been hailed as the birth of the Beat Generation, in no small part because it was also the first public reading of Ginsberg's "Howl," a poem which garnered world-wide attention for him and the poets he associated with. Shortly after Howl and Other Poems was published in 1956 by City Lights Bookstore, it was banned for obscenity. The work overcame censorship trials, however, and became one of the most widely read poems of the century, translated into more than twenty-two languages. In the 1960s and 70s, Ginsberg studied under gurus and Zen masters. As the leading icon of the Beats, Ginsberg was involved in countless political activities, including protests against the Vietnam War, and he spoke openly about issues that concerned him, such as free speech and gay rights agendas. Ginsberg went on publish numerous collections of poetry, including Kaddish and Other Poems (1961), Planet News (1968), and The Fall of America: Poems of These States (1973), which won the National Book Award. In 1993, Ginsberg received the Chevalier des Arts et des Lettres (the Order of Arts and Letters) from the French Minister of Culture. He also co-founded and directed the Jack Kerouac School of Disembodied Poetics at the Naropa Institute in Colorado. In his later years, Ginsberg became a Distinguished Professor at Brooklyn College.